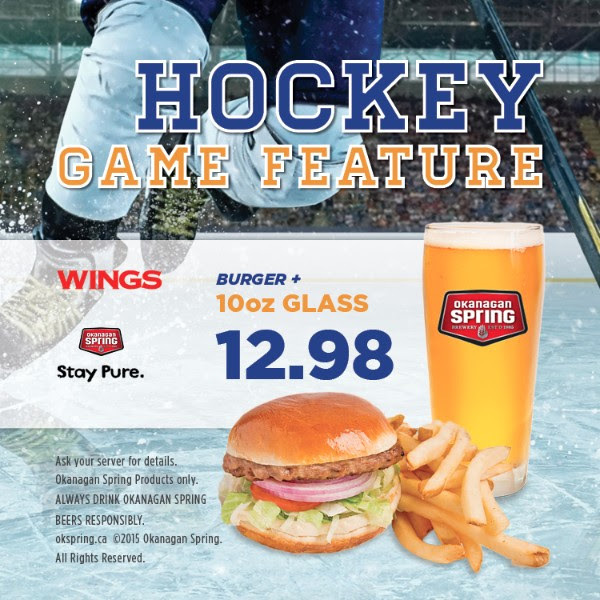 Make every game count with WINGS feature deals! Juicy burgers, crispy fries, and cold beer. What more could anyone ask for? Hockey, of course. 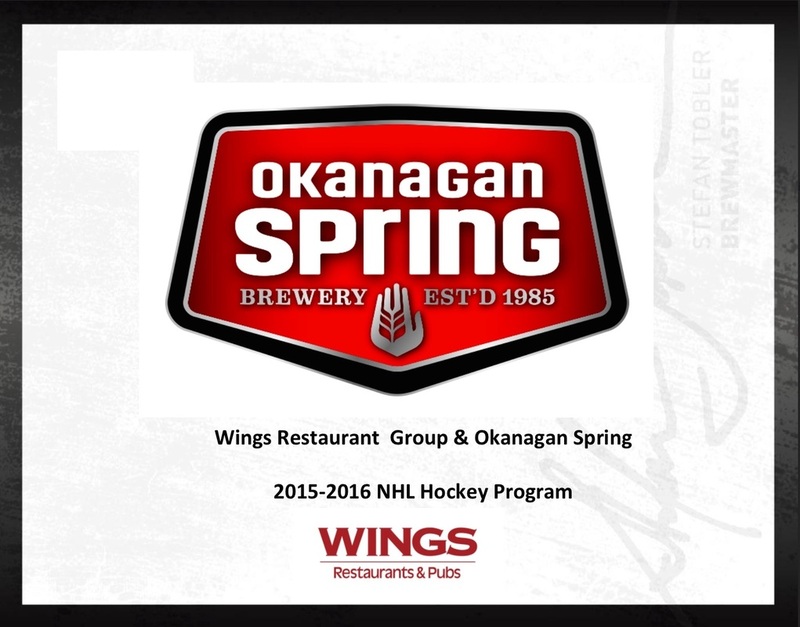 Join us for any NHL game this year and enjoy a burger and a glass of Okanagan Spring for just $12.98. 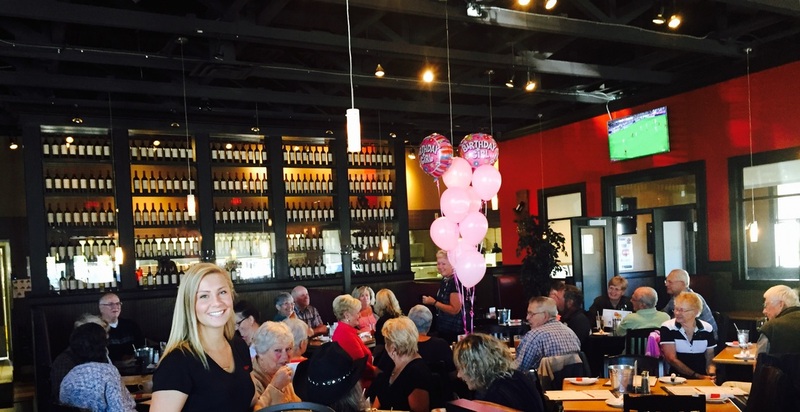 Are you a Vancouver super fan? 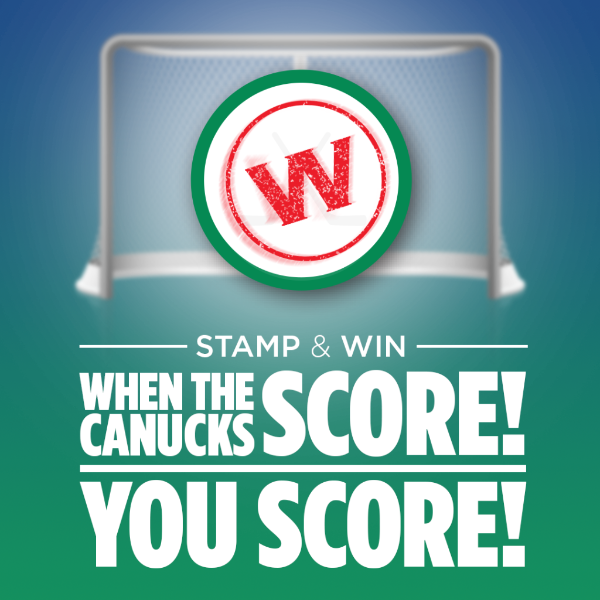 With our Stamp & Win contest, when the Canucks score, YOU score. Ask your server for your own playing card and get a stamp for each goal the Canucks score when you're settling up your bill. 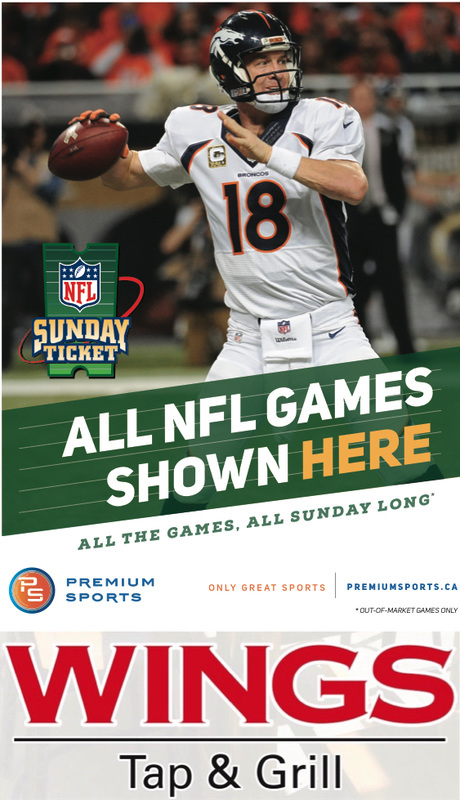 You can use your card every time you visit during a regular season game and once you fill out your whole card, you'll be entered to win a draw for 2 tickets to a Canucks home game. Then grab a new card so you can earn even more entries to the draw. You can also earn bonus stamps when you share a photo of yourself at Wings on Facebook, Twitter, or Instagram. Catch all the action on big screen HD TVs every week at WINGS.